The Irish Human rights and Equality Commission’s core statutory role is to promote and protect human rights and equality in Ireland. As such, it is a strategic priority of the Commission, often working with specialists, to make contributions to the knowledge base necessary for better understanding of human rights and equality, and to challenge gaps in protections. This sections sets out research reports. 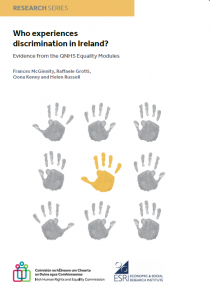 This report provides a detailed account of the experience of discrimination for people with disabilities in Ireland. 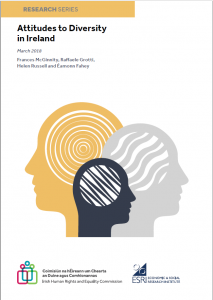 It examines the extent to which people with disabilities experience higher rates of discrimination across a range of life settings or domains compared to people without disabilities. 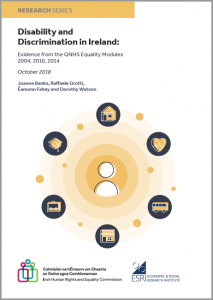 This report examines several different aspects of discrimination and inequality relating to housing: accessing housing; housing quality; and a profile of the homeless population. 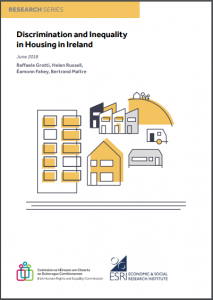 This report gives us a better understanding of access to housing in Ireland, who experiences problems in accessing suitable housing, and if any groups experience more problems than others. 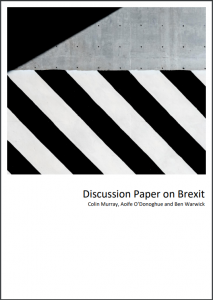 This report examines the impact of the United Kingdom’s exit from the European Union (Brexit) upon human rights and equality issues. Brexit will significantly re-orientate both Northern Ireland’s established human rights structures and the inter-connected human rights’ infrastructure and relationships across Ireland and the UK. 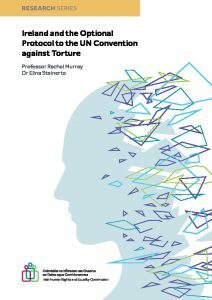 This paper was written by Colin Murray, Aoife O’Donoghue and Ben Warwick for the Irish Human Rights and Equality Commission and the Northern Ireland Human Rights Commission. looks at Ireland’s increasing diversity and monitors attitudes for the period from 2002-2014. The results for Ireland are also compared with averages from ten other Western European states. t has found that the attitudes of Irish-born people to immigrants and immigration vary significantly over time, depending on the ethnicity of the migrants, on respondents’ education and financial security, and on the level of individual contact people have with those from different ethnic backgrounds. 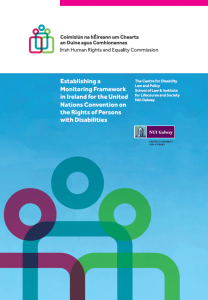 The UN Convention on the Rights of Persons with Disabilities (CRPD) contains an important innovation in Article 33, which requires states to establish national mechanisms to implement, to coordinate and to monitor progress in achieving the aims of the Convention.